Farley Ashford Simon, 60, was arrested Feb. 19 and charged with two counts of Improper Relationship Between Educator and Student, Irving police say. An Irving High School teacher has been accused of having an improper relationship with a 17-year-old student, Irving police say. Police said the mother of a 17-year-old girl told school administrators that a teacher may have had an improper relationship with her daughter. School administrators immediately notified a school resource officer with the Irving Police Department and placed the teacher on administrative leave. 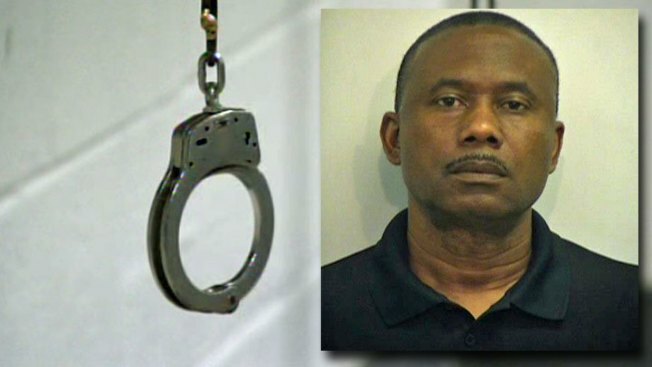 According to police, the investigation revealed that in December 2015 and January 2016 a teacher, 60-year-old Farley Ashford Simon, was involved in an inappropriate relationship with an unnamed female student. Simon was arrested Feb. 19 and booked into the Irving City Jail on two charges of Improper Relationship Between Educator and Student. He was released after posting $50,000 bond. The Irving ISD said Simon has been employed by the district since 2014 as a JROTC Instructor. "While privacy laws prevent us from sharing specific details, we can reassure our families that we took immediate and appropriate action. Being on administrative leave prevents the teacher from working with students and being present on any Irving ISD property," the district said in a statement Monday morning. The investigation into the allegations is ongoing, but detectives said they do not believe Simon was involved with any other students. Anyone with additional information is asked to contact the Irving Police Department or an Irving ISD staff member.